We are a small woman-owned health communication research and technology firm that designs, develops, and evaluates public health interventions in collaboration with academic, public, and private partners. We fuse researchers in health communication, psychology, and behavioral science with a dynamic web/app/graphic development team to create effective health programs. 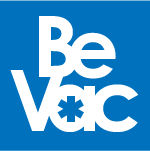 Through the publication, distribution, and sale of evidence-based programs, we strive to facilitate behavior change, prevent chronic disease, and make a difference in people's lives. In 2006, we received the Small Business Innovative Research (SBIR) Tibbetts Award for excellence in research from the U.S. Small Business Administration. We create innovative programs that promote preventative health behaviors and policies to communities, organizations, and individuals. We develop sun safety programs to help increase sun protection behavior and cease indoor tanning in order to reduce the incidence of skin cancer. We conduct research designed to prevent impaired driving, keep marijuana out of the hands of children and adolescents, and help people quit tobacco. Our research promotes healthy diets, fruit and vegetable consumption, and physical activity programs that are designed to improve overall health of targeted populations. Our research projects are designed to reach underserved and vulnerable populations with prevention information and resources to help improve well-being, reduce health care costs, and save lives. Our experienced in-house graphic design, instructional design, and technology team provides innovative designs and solutions to meet the unique needs of our research and commercial clients. Our mobile-responsive websites are developed to optimize user experience (UX) and user interface (UI) in order to increase engagement and achieve effective health behavior outcomes. We develop responsive apps for mobile devices for both iOS and Android systems. We translate content into online games and tools to maximize learning through engagement, interactivity, and skill-building. Our fine arts graphic designers create custom logos, color schemes, and layouts for print materials. We sell evidence-based products and programs that facilitate positive behavior change to prevent disease and make an impactful difference in people's lives. Real Health Photos® is an original collection of health images of real people that specifically represent diverse, minority, and underrepresented populations. WayToServe® is a media-rich online program to train and certify servers of alcoholic beverages in state-specific responsible beverage service skills, such as recognizing intoxicated patrons and refusing sales to minors. Sunny Days Healthy Ways® is a comprehensive curriculum for grades K-5 that uses a project-based learning approach to teach sun protection skills to children. sunZapp® is a GPS-enabled smartphone app that gives real-time sun protection advice to users for reducing over-exposure to harmful UV rays. Momzing® is a streaming video exercise program for new mothers who want to increase their physical activity after giving birth. Grow Eat Thrive is a project-based K-5 curriculum that combines lessons in nutrition, gardening, and physical activity to teach children about the benefits of fruits, vegetables, and daily exercise. Copyright 2002-2018 Klein Buendel, Inc.
Feel free to ask us anything about our products and services. Ultraviolet (UV) radiation from the sun and tanning beds contributes significantly to the development of skin cancer. Skin cancer is the most common cancer in the United States – and one of the most preventable. We develop sun safety programs for worksites, resorts, public parks, tattoo studios, and schools to increase sun protection and reduce the incidence of skin cancer. The Sun Safe Schools project worked with 112 school districts in California and Colorado to pass sun safety policies for students. The district-wide policies included environmental and personal protection actions such as the provision of shade structures and ways to improve sun safety for students while they were outdoors. (National Cancer Institute; CA100285; David Buller, PI). Dobbinson S, Niven P, Buller DB, Allen M, Gies P, Warne C. Comparing handheld meters and electronic dosimeters for measuring uv levels under shade and in the sun. Photochem Photobiol. 2016;92:208-14. Needs PMCID. This project developed Solar Cell (aka sunZapp®), a mobile smartphone application that combines personal and behavior data with geo-spatial data (UV Index forecast, time, and location) to deliver real-time actionable sun protection advice to reduce risk of skin cancer. It was developed for both iOS and Android operating systems. (National Cancer Institute; N44-CO-17004; David Buller, PI) More information is available in Products. Buller DB, Berwick M, Lantz K, Buller MK, Shane J, Kane I, Liu X. Evaluation of immediate and 12-Week Effects of a smartphone sun-safety mobile application: a randomized clinical trial. JAMA Dermatol. 2015;151:505-12. PMCID: PMC4431914. 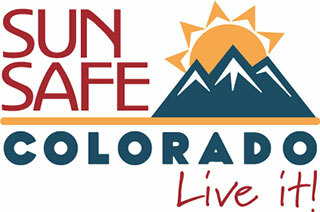 Go Sun Smart (GSS) was a sun safety program developed for outdoor workers and guests of North American ski resorts. Working with 28 resorts, the GSS team trained managers to educate their employees about sun safety and promoted sun safety to resort guests with posters, lift pole signage, and interpersonal communication from employees. Sun protection behaviors increased among employees and guests, including children enrolled in ski and snowboard schools (National Cancer Institute, CA104876, David Buller, PI). Buller DB, Andersen PA, Walkosz BJ, Scott MD, Cutter GR, Dignan MB, Zarlengo EM, Voeks JH, Giese AJ. 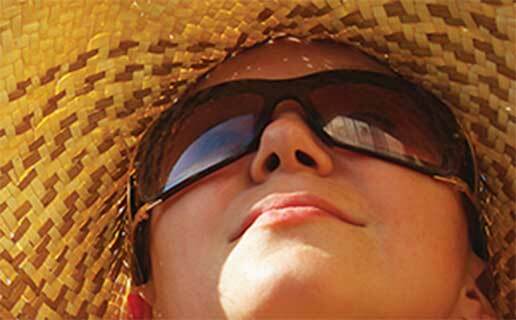 Randomized trial testing a worksite sun protection program in an outdoor recreation industry. Health Educ Behav. 2005;32:514-535. Walkosz BJ, Buller DB, Andersen PA, Scott MD, Liu X, Cutter GR, Dignan MB. Translation of a ski school sun safety program to North American ski and snowboard schools. Health Promot Pract. 2015;16(4):560-70. PMCID: PMC4485589. Andersen PA, Buller DB, Walkosz BJ, Scott MD, Beck L, Liu X, Abbott A, Eye R. Environmental variables associated with vacationers' sun protection at warm weather resorts in North America. Environ Res. 2016;146:200-6. Tobacco, alcohol, and drug use represent some of the leading preventable causes of injury or death in the United States. Because of the impact of such risky behaviors, research geared toward helping people quit tobacco, prevent impaired driving, and keep marijuana out of the hands of children and adolescents is central to our research mission. A media-rich interactive alcohol server training program was developed to ensure the safe and legal sale of alcohol at bars, restaurants, and casinos. The program was found to be very effective and satisfying for servers in 120 premises in four New Mexico communities. The training resulted in the WayToServe® program that is now offered in multiple states, including New Mexico. This effort was a collaboration with the University of New Mexico and the Pacific Institute for Research and Evaluation (National Institute on Alcohol Abuse and Alcoholism; AA014982; W. Gill Woodall, PI) More information is available in Products. This feasibility study explored developing an innovative web-based bystander intervention program for college students. 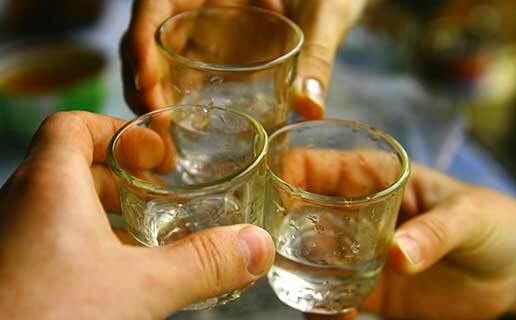 The program aimed to provide students with the skills needed to overcome intervention-related anxiety, identify when intervention is appropriate, and to view themselves as helpers rather than bystanders to better take care of their friends and peers at social gatherings involving alcohol consumption. (National Institute on Alcohol Abuse and Alcoholism; AA020157; Andrea Dunn and Barbara Walkosz, PIs). 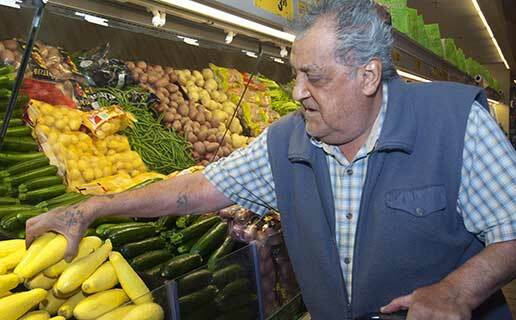 To reduce the risk and burden of chronic diseases, such as diabetes, heart disease, and stroke, our research develops programs that promote healthy diets, fruit and vegetable consumption, and physical activity. We strive to address the need for new strategies that focus on the complex issues of improving quality of life and promoting individual behavior and environmental changes along with policy adoption. We have worked with targeted populations including young children, college students, Hispanic women, and seniors. Momzing® is an evidence-based physical activity program for new moms who want to start working out after having a baby. Momzing features over 90 workouts with babies (from 11 to 22 pounds) allowing for simultaneous mommy-baby bonding and exercise. The interactive website streams the workout videos in 10-minute segments, making it easy to workout, even with a busy schedule. Momzing incorporates recommendations for physical activity from the American Congress of Obstetricians and Gynecologists to ensure that workouts are appropriate for new moms. A randomized controlled trial was conducted to compare the effectiveness of the customizable streaming Momzing videos to a packaged exercise DVD. The results showed that women who received the Momzing program had a higher rate of compliance with the national recommendation of 150 minutes per week of moderate or higher intensity exercise when compared to the women who received the DVD. This research was conducted jointly with the University of Hawaii. (National Heart, Lung, and Blood Institute; HL091592; Cheryl Albright, PI) More information is available in Products. The 5 A Day School Gardening Project, Grow Eat Thrive, developed and evaluated the effectiveness of a container school gardening curriculum for Grades K-5 based on the 5 A Day for Better Health Program. 5 A Day promotes physical activity and the consumption of fruits and vegetables each day. (U.S. Department of Agriculture 2005-33610-16469; Lee Stiffler-Meyer, PI). More information is available in Products. Our health equity research strives to reach vulnerable, disadvantaged, and underserved populations with health care information and resources in order to help improve well-being, reduce health care costs, and save lives. Projects address photographic representation, physical activity, cancer communications, pain management, vaccinations, and end-of-life care with technology solutions. Real Health Photos® is stock art photography website that offers an innovative collection of health images that specifically represents diverse, minority, disparate, and underrepresented populations. This research demonstrates that photographs that match the target population can increase the effectiveness of the message because of increased audience identification. All photography models on the site have self-identified their race, ethnicity, and LGBTQ status. (Minority Health and Health Disparities; MD003338; Mary Buller, PI) More information is available in Products. Pinpoint is a tablet app for use with 13-17 year olds that will utilize a Pain Assessment Tool (PAT) to describe and categorize specific types of pain experienced by adolescents with sickle cell disease. The PAT is being translated into gamified mobile app technology, named Pinpoint, to engage adolescent patients and improve pain specification. Pinpoint uses core game aspects such as fun, play, transparency, design, and challenge, and applies them to real-world objectives to increase engagement and effectiveness. Pinpoint is being conducted in collaboration with the Hilton Publishing Company. (National Institute of Minority Health and Disparities: MD010746; Valerie Myers, PI). The Be Vaccinated project developed a smartphone app to address the need to improve the rates of completion of adolescent vaccinations by minority and low-income youth. The app helps parents and teens make informed decisions about fulfilling uptake of the recommended panel of adolescent vaccinations (HPV, MCRV4, Pertussis, Varicella). (Eunice Kennedy Shriver National Institute of Child Health and Human Development; HD082901; W. Gill Woodall, PI). The HPV Boys project will develop and evaluate an intervention delivered by a mobile web app that addresses parent and adolescent male concerns about HPV vaccination and promotes HPV vaccine uptake. (Eunice Kennedy Shriver National Institute of Child Health and Human Development; HD086603; W. Gill Woodall, PI). Our website production is guided by an iterative design approach, starting with conversations about flow, graphic design, and website components such as videos, gamified learning activities, and other interactive tools and features. Multiple iterations and usability testing hone final version of the websites. Our team brings user experience (UX) and user interface (UI) expertise to the mobile app design and development process in order to optimize UX. Our programmers and designers work with clients to collaboratively develop goals, instructional and behavioral objectives, and graphic and functional design concepts. A user-centered design approach guides our app development. To complete the process, we the conduct alpha testing in-house for stability and code errors, and beta-testing and usability testing in the field. Where required, apps conform to Section 508. Our design work ranges from logo development to web-based interfaces to brochures and posters. We are well versed in both print-based (small and large format) and interactive design. All design is completed in-house using the industry standard software such as Adobe InDesign, Adobe Illustrator, and Adobe Photoshop. All print materials are fully exportable to Adobe Acrobat PDFs. Our research has shown that using photographs that match a message's target population can increase identification and message effectiveness. Our photo models have self-identified their race, ethnicity, and LGBTQ status to ensure authenticity. Real Health Photos® are easy to browse, low-priced, high-quality, and multi-sized to meet varied media needs. Real Health Photos was developed with a grant from the National Institute of Minority Health and Health Disparities at the National Institutes of Health (MD003338, Mary Buller, PI). WayToServe® is an evidence-based, media-rich online alcohol server training program created and evaluated by scientists and developers at Klein Buendel, Inc., the University of New Mexico, and the Pacific Institute for Research. Our collaborative research has shown that the program doubles refusal rates to intoxicated patrons. The original New Mexico-specific program was licensed to Wedge Communications LLC for marketing and distribution in 2012. Additional state-specific versions of WayToServe have been produced that conform to the Responsible Beverage Service curriculum requirements of the State of California, the Texas Alcoholic Beverage Commission, Washington State Liquor Control Board, and Oregon Liquor Control Commission. WayToServe has sold over 50,000 trainings in California, New Mexico, Texas, and Washington combined. The Spanish version, WayToServe Español, is in production and will be tested in New Mexico and Texas. WayToServe was developed with a grant to the University of New Mexico from the National Institute of Alcohol Abuse and Alcoholism at the National Institutes of Health (AA014982, W. Gill Woodall, PI). Sunny Days Healthy Ways® (SDHW) provides an average of 15 lessons per grade level that teachers can tailor to their timeframe and needs. The lessons in each grade are cumulative and lead to an over-arching project. Prepared lesson plans, student activity sheets, storybooks and learning objectives minimize prep time and make teaching SDHW easy. The U.S. Centers for Disease Control and Prevention acknowledges SDHW as a national resource for complying with their recommendations for how schools can help prevent skin cancer. In addition, Common Core standards can be addressed while teaching sun safety in the classroom. Why teach children to prevent skin cancer? Skin cancer is the most common cancer in the U.S. and is increasing at an alarming rate. Even though skin cancer occurs mainly in adults, much UV damage can occur during childhood. Long periods of unprotected sun exposure and severe sunburning as a child can lead to skin cancer later in life. Good health habits started in childhood are more likely to last a lifetime. SDHW teaches children positive sun protection habits without scare tactics. The focus is on not getting a sunburn. SDHW was first created with targeted grants from the National Cancer Institute (CA62968 & CA23074; David Buller, PI) and the Arizona Disease Control Commission (9403: David Buller, PI) to help stem the epidemic. sunZapp® takes the guesswork out of sun protection by providing advice that is based on the app user’s location, environmental conditions, elevation, sunscreen SPF, clothing coverage, and NOAA’s hour-by-hour UV Index forecast. sunZapp makes it easier to have fun in the sun without getting burned. The app can be used with iPhone and Android smartphones to make sun protection simple year-round. Users are alerted when UV levels and sunburn risks are high, reminded to apply and reapply sunscreen and when to get out of the sun. sunZapp is available in a Lite version (free to the user) and in a Pro version, available in iTunes and Google app stores for $1.99. With sunZapp Pro, users can load multiple user profiles and activities for sun protection recommendations and it allows you to run multiple users at the same time, making it easy to keep your friends and family safe. Each user can store up to 5 different profiles, which can be customized for your favorite outdoor activities. The Pro version also includes a 5-day planner, allowing users to prepare for upcoming adventures! sunZapp was developed with a contract from the National Cancer Institute at the National Institutes of Health (N44-CO-17004, David Buller, PI). sunZapp is available in the iTunes and Google app stores. Moms can mix-and-match 99 ten-minute videos of various types and intensities to create unique workouts that can be done with or without their babies (from 11 to 22 pounds). The interactive Momzing® website streams the workout videos in 10-minute segments, making it easy to be active with a busy schedule. A workout tracker helps users create and track their exercise goals. Momzing incorporates recommendations for physical activity from the American Congress of Obstetricians and Gynecologists to ensure that workouts are appropriate for new moms. Moms who have used Momzing say that the program helps them feel energized throughout the day, gives the opportunity to bond with their baby, and helps them create a healthy lifestyle for themselves and their families. Momzing was developed with a grant to the University of Hawaii from the National Heart, Lung, and Blood Institute at the National Institutes of Health (HL091592; Cheryl Albright, PI). Grow, Eat, Thrive is a simple-to-use curriculum for grades K-5. By planning, growing, and caring for a garden, students experience the full process of bringing food to their table and learning the importance of making sound choices for long-term health benefits. Through this actively involved approach students learn to take ownership over their health and realize they have the ability to choose and improve their nutrition options. Teachers can use these easy-to-implement lesson plans to guide students through planting and nurturing convenient container gardens at school. Grow Eat Thrive gives students a keen sense of where food comes from and an appreciation for healthy foods and daily activity. Each lesson promotes nutrition and physical activity, while integrating a variety of other content areas to meet many national and state standards. Lessons are age and grade level appropriate, ensuring that teachers are meeting the needs of their students and their districts. Grow Eat Thrive was developed with a contract from the U.S. Department of Agriculture (2005-33610-16469; Lee Stiffler-Meyer, PI).